Complete with non-volatile memory for storage of configuration information, a real-time clock and raw measurement output data for sophisticated customer applications. This high-sensitivity, 12-parallel-channel, WAAS-enabled GPS receiver in USB 2.0 full-speed comes with an integrated magnetic base. The puck-like receiver is 2.4 inches in diameter and weighs just a few ounces, making it an ideal solution for applications where space is at a premium. 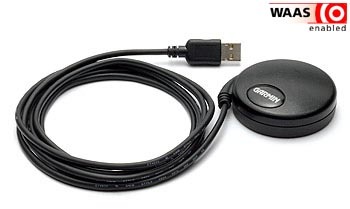 The GPS 18x series are highly-sensitive GPS sensors that replaces the GPS 18 series.